Home Are Intensive Driving Crash Courses Good? Are Intensive Driving Crash Courses Good? As driving instructors, we do get asked for intensive driving crash courses regularly. Many learners are under the impression that an intensive crash course is easy and they will pass the driving test with ease and in minimal time. For some, this may be true, for others it’s not quite that easy. Are you capable of an intensive? Many schools or instructors are only too happy to take your money and book the intensive course in. But are you capable of an intensive crash course? The only way to really know is to have an assessment lesson with the instructor before booking the course. An assessment lesson will firstly allow you to see if you get on with the instructor and easily understand their teaching technique as detailed in the ‘How many driving lessons will I need before the driving test?‘ article. It will also give you a good idea if an intensive crash course is suited to you. If during the assessment lesson you feel that you are struggling to a large extent with controlling the car whilst performing all the correct safety checks and observations, an intensive crash course may not be for you. Learning to drive is rather expensive. If you are taking an intensive crash course in a single week for example with the test at the end, what happens if you find it all too much? Most of the course will be wasted as most of the time will be spent struggling and not learning, plus the likelihood of failing the test at the end is very high; that is if the instructor even allows you to take the test for safety reasons. So if that assessment lesson was a little disastrous and it all went over your head, perhaps consider a semi-intensive crash course. These courses can range from anything to 4 or more hours of driving per week and for some can let the whole learning to drive process sink in much easier. How much does an intensive driving crash course cost? This of course involves where you live as prices vary from place to place. Weigh up the prices from a handful of schools or instructors. It may be worth avoiding anyone that is too cheap. As with everything in life, you get what you pay for. If a instructors prices is much lower than others, you may want to think are they this cheap because they are not very good? Much of a driving schools or instructors work is gained through good reputation and usually there is no need for them to have excessively low prices. Once you have decided which schools you like, ask for an assessment lesson. If after this lesson you are not happy, try the next one. Are intensive driving crash courses any good? An intensive course will allow you to learn at a very fast rate if you are capable. The fact the the course is so condensed means that little is forgotten the next day. 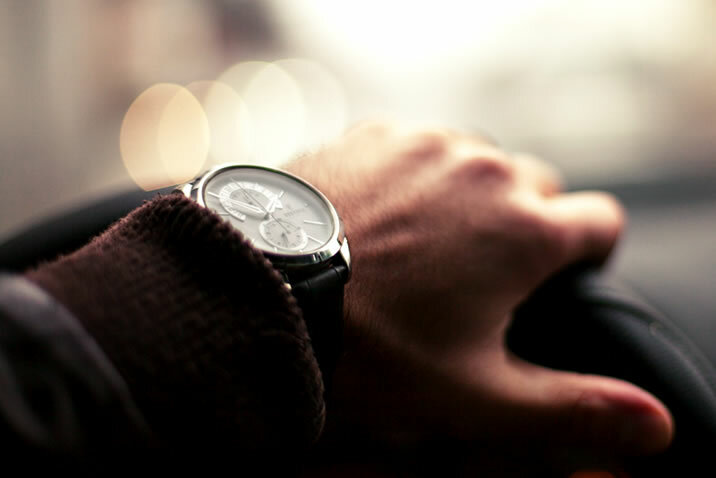 With the usual weekly driving lessons, a certain amount of time is spent getting back up to speed due to the weeks break from driving. An intensive course can save you time and potentially money as you may need less hours. An intensive crash course is generally a way to reach test standard in the shortest time possible. During the usual weekly driving lessons, it is likely that you will encounter different weather conditions, perhaps driving in the dark and many other situations that you are unlikely to encounter on a intensive course. An intensive course doesn’t prepare you for driving in the real world as typical lessons do. If you fail the intensive course, it is likely you will have to wait several weeks before another driving test becomes available. By this time, you may have forgotten a lot of what you originally learnt, meaning further lessons to keep your driving skills high. Some intensive crash courses involve car sharing. Essentially, you take it in turn driving. Some learners have found this to be beneficial as when they are sitting in the back watching, they learn from the mistakes the driver is making. Whilst driving the car, it can be difficult to be aware of your mistakes as your concentration is focused on the road and not what you are doing in the car. Many others however find this to be a waste of time and would rather spend that time driving. Realistically, the only way to truly learn how to drive, is to drive. Should I take an intensive driving crash course? Unless it is absolutely critical that you pass the driving test in super fast time, then the answer is no. With an intensive course you wont receive as much experience as with weekly lessons, as much diverse weather and road conditions. Weekly lessons gives you more experience and therefore you will be a more competent and safer driver. If you fail then you will likely need further lessons, increasing the overall cost dramatically. If you want to pass the test quickly, take a semi intensive. Once you have passed the theory test, in most parts of the U.K. there is around a 6 to 8 week waiting time for you to take the practical driving test. As soon as you pass the theory test, book your practical driving test and use these weeks to take a semi intensive course. By doing this, you will be learning quickly but at a stable rate. You will retain the information you learn for a longer period of time and experience many more road conditions, making you a safer driver. Taking a intensive crash course may be ideal if it all goes to plan, if not, it can be more time consuming and costly than the typical weekly driving lessons. Below are some tips and advice on standing the best possible chance of passing the driving test first time with an intensive driving crash course. An instructor that you don’t feel comfortable with or understand their teaching technique fully can easy be the difference between as pass and fail. Take an assessment lesson with your chosen school or instructor to establish this before committing to the the course. Although driving test routes aren’t the most important part of driving lessons, it is important that your instructor is aware of the difficult areas of the test routes as practicing these areas will be of benefit to you. Ensure your instructor is fully qualified. 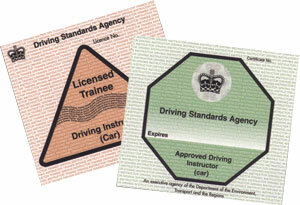 A trainee instructor will display a pink trainee licence in the car windscreen and although they may be good at teaching, they will not have the full knowledge that a fully qualified instructor has. Fully qualified instructors display a green licence in the windscreen. Often by taking private driving lessons with a family member of friend can be an advantage. On occasions however it can cause more problems than it does good. Obtaining bad habits whilst driving happens extremely quickly and it is likely that you may acquire these without professional driving tuition. It can also be harder for an instructor to undo bad driving than it is from teaching a learner from the very beginning. If you intend on taking private lessons, it may be worth just getting the hang of the basics; how to move a car off, change gear and stop. Then, leave the rest up to the instructor. The lack of long-term experience offered by intensive courses can be gained by the Pass Plus scheme. The course lasts only 6 hours and there is no exam to be taken at the end. Your Pass Plus instructor will send off the completed forms to the DVSA who in return will send you a certificate of completion. This certificate can be presented to participating car insurance providers who can offer you a discount of up to 30% off your car insurance premium. I’ve taken ny test about a month and a half ago and failed by only four faults but one was a major for stalling which tbe instructor but down to nerous at the beinging as the rest of the drive was good, do you think a two crash course would be good for me? It depends on how well you handle the pressure of intensive situations. I have known learners who respond extremely well with intensive courses, others not so. If you’re fine with the pressure, then I would say yes, definitely go for it. Get a test booked up and schedule an intensive just before it. You wont need to full course as you have previous experience. 10 hours or so should be fine – perhaps spread over Monday to Thursday with the test on a Friday for example.